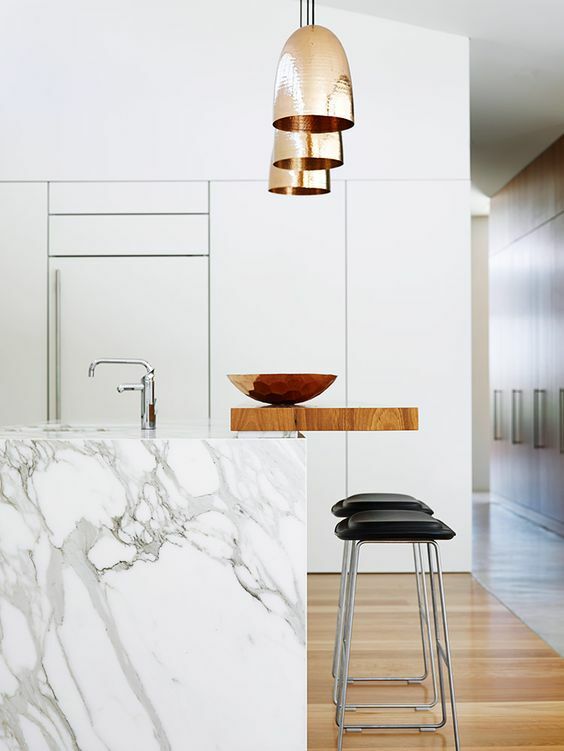 Rose gold, subway tiles and exposed lighting were some of the top decor trends of 2018. Every year has new decor trends for example new patterns, prints and fresh takes on old styles. As we are now coming to the end of the twenty-teen years the following trends will put the icing on your cake for the era that people are calling the 'Tweenies'. 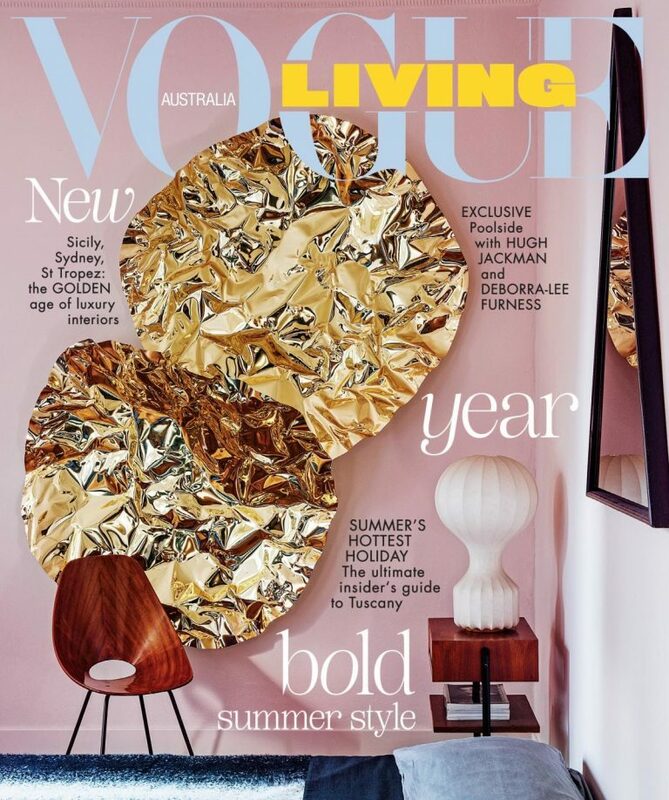 For 2019 interiors you will be looking at Living coral, Gold accent interiors, Wallpaper- clashing prints, Sustainable furniture, Soft Botanical Greens interior, Japandi Style and our favourite, the old meets new look. Read below to get the inside knowledge from industry experts on how these trends are making homes beautiful. "THE GOLDEN AGE OF LUXURY INTERIORS"
There are pieces you can put in your home that are classic and stand the test of time and then there are pieces that are iconic to a certain era that are beautiful and represent that lifestyle of that age. 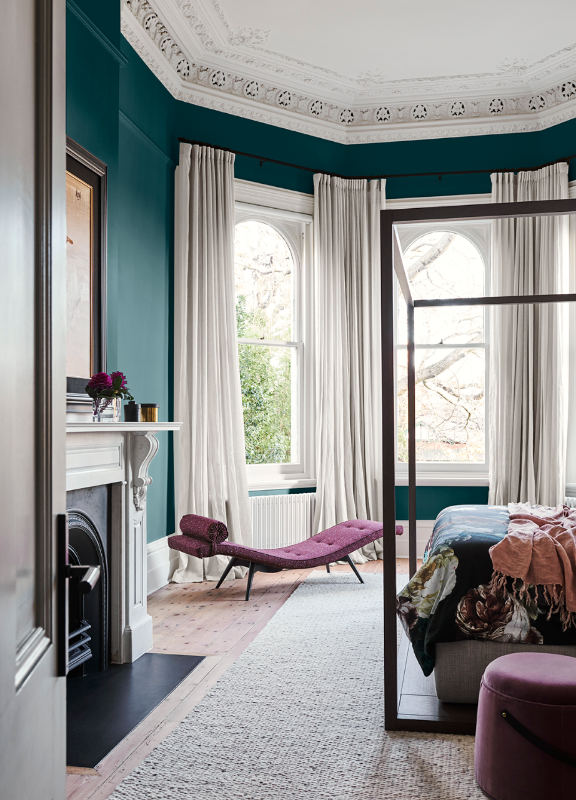 Old meets new is taking these iconic colours and furnishings and modernising them with all the new fabrics, technologies and textures that we now have access to in the 21st century. 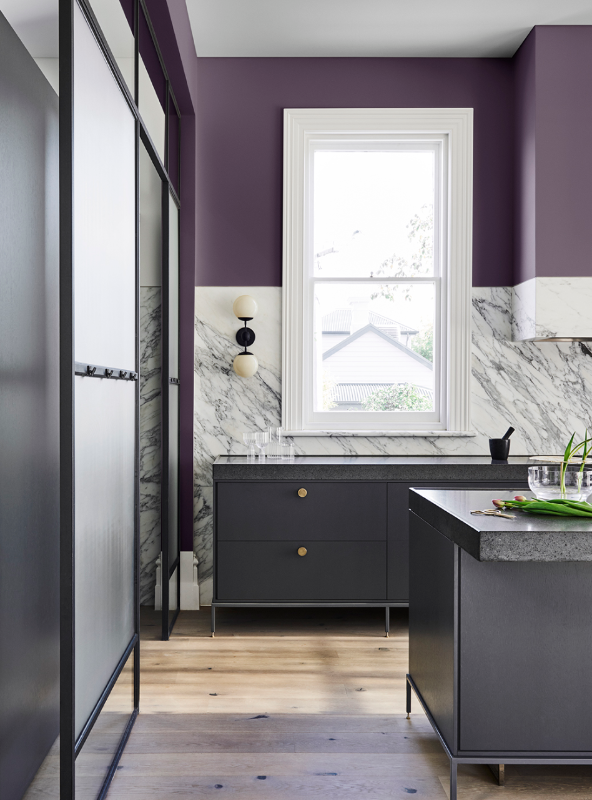 Dulux has named "The Legacy Palette" as the best colours to bring this style into your home and is one of the 2019 favourites here in the Merino Homes Office, we agree that these colours are timeless, luxurious and when executed right give a lot of soul to the home. 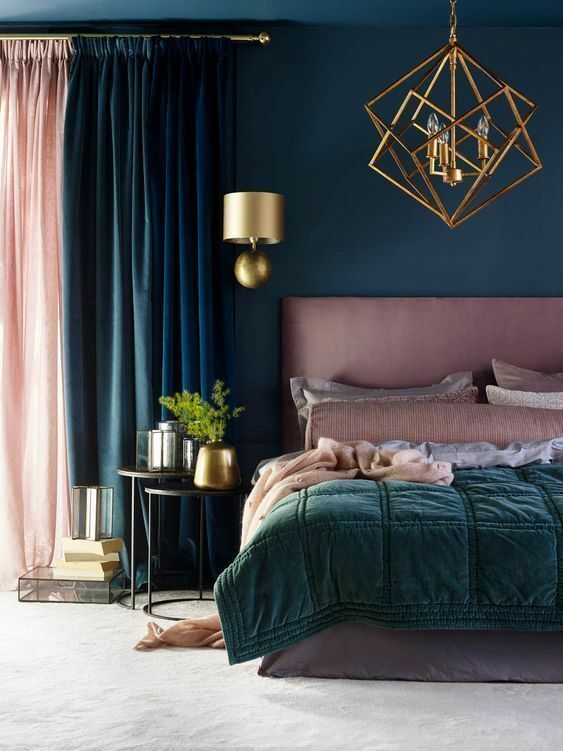 The colours go so well because they complement each other, the key is combining these colours through not only on your walls but with multiple textures such as velvet bed coverings, vibrant pillows, vases and other pieces that make a house a home. The colours on this Palette are romantic and on the feminine side but not girly. 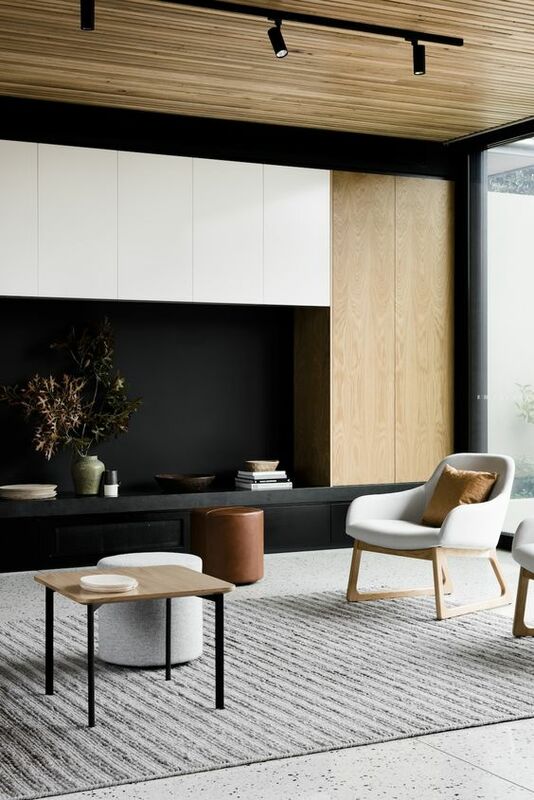 With these colours you can swap out the pinks with some neutral tones like a charcoal or white to make them more masculine bringing back the days of lash interiors for men. "A decadent palette consisting of lilac, deep purple, pink and aqua will come in the fore in 2019. 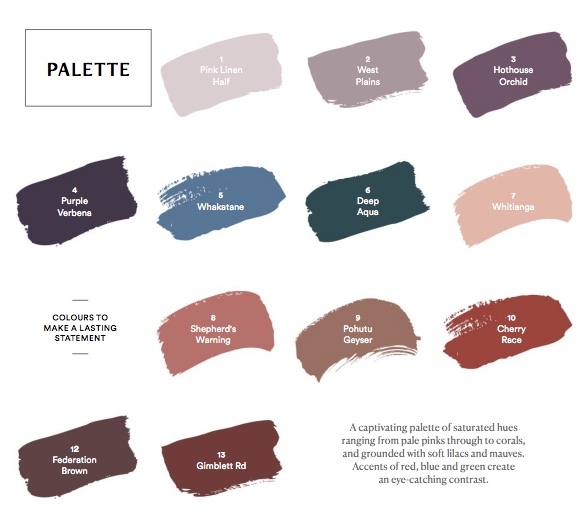 Dulux's legacy palette, which has a focus on craftsmanship and traditional skills is one of the key palettes identified in the Dulux colour trends 2019. It is inspired by old-world elegance that is reinvented for the modern day. It is a timeless and luxurious palette with something of a moody feel. Deep colours such as these stir something in us and can be quite moving. You'll find they can make a real impact in a space." says Andrea Lucena-Orr, colour and communications manager at Dulux. 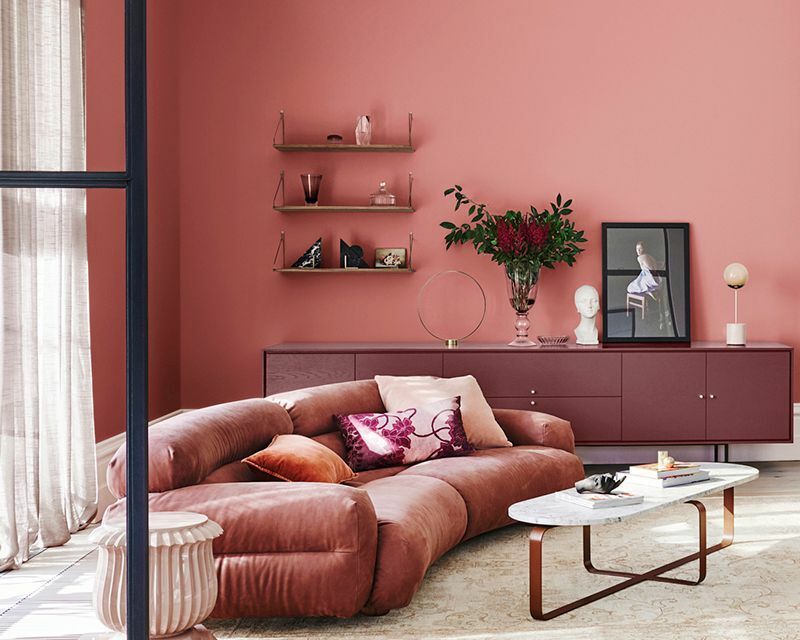 Pantone has officially named Living Coral as its 2019 Colour of the Year and we agree. Living coral is the new black - according to Pantone. 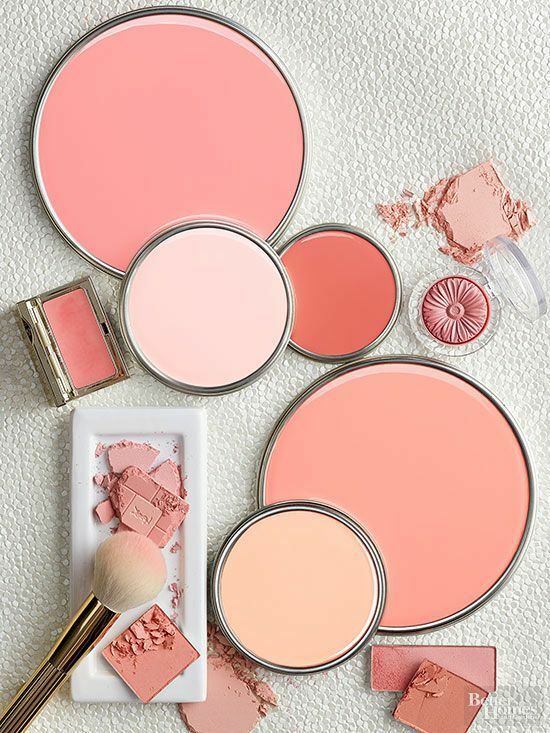 Living Coral offers a fresh way to punctuate navy, pinks and crisp whites. It's time to ditch your Millennial Pinks and Ultraviolets—Living Coral will be dictating all things interiors, fashion and tech. It's the kind of colour you could paint a whole room, It would be great in an entryway or a bathroom. 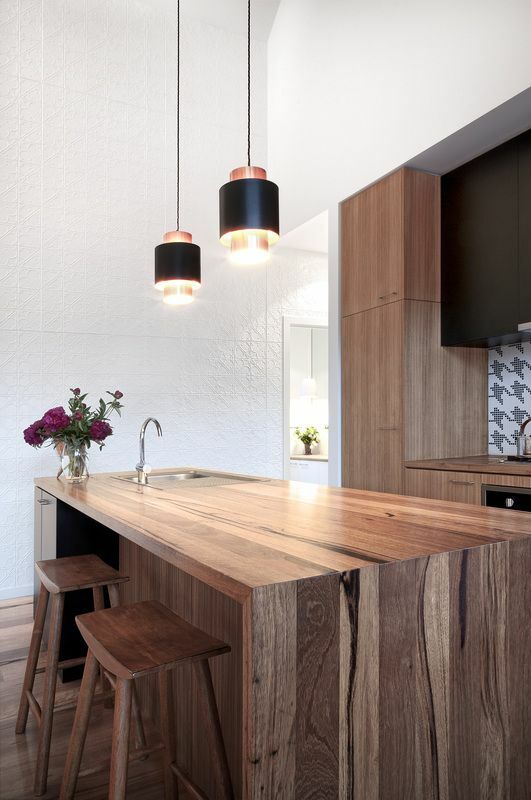 The last few years you may have seen a heavy focus of matte black and copper accents playing out heavily in tap ware and lighting. 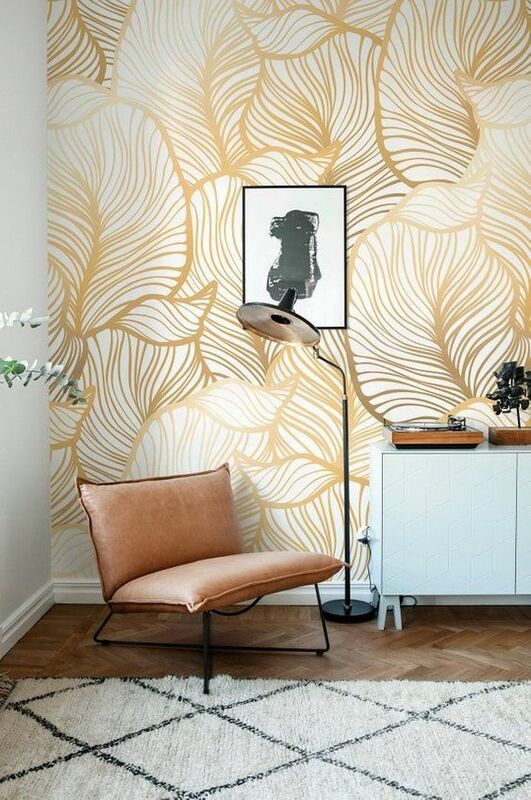 In 2019 interiors will move towards truer golds for a sophisticated and fresh look. Golds complimented with whites or strong coloured walls and interiors such as in the photos below really allow make the colours pop and give a real feeling of old school luxury. 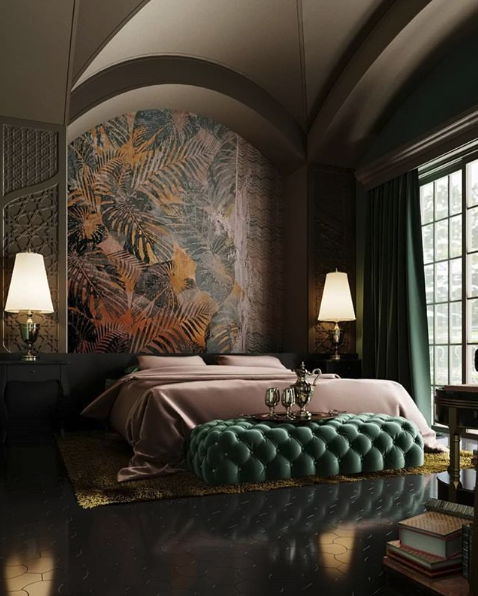 Wallpaper was revived in 2018, not only in interiors but in fashion too, with designers such as Prabal Gurung and Proenza Schouler championing splashy roses and micro cornflower prints in their Autumn/Winter 2018 collections. In 2019, patterns will continue to inspire the interiors of homes with stylists contrasting prints and textures. Floral patterns have been around for a decades, back to when our grandparents decorated their first home. However, we will expect to find exaggerated proportions and contrasting colours used for this timeless decor pattern to bring it into the 21st century and be an iconic pieces if the Twenty-teens era. The shift towards sustainable and eco -friendly designs has given designers an opportunity to be more creative. 2019 represents an era of furniture with purpose: pieces made entirely from recycled goods and environmentally friendly alternatives. 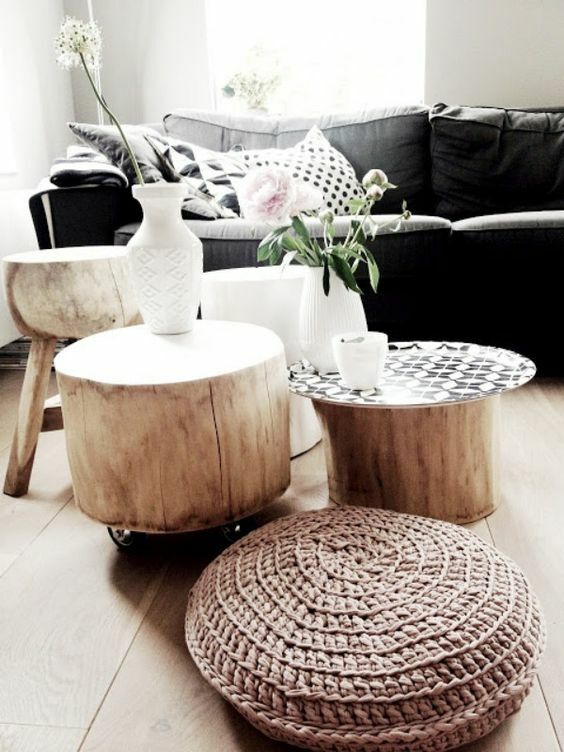 The bohemian trend is gone and replaced by clean, elegant pieces the are not only beautiful bit functional as well. "Making a shift towards products that are either recycled, or able to be recycled is a responsibility as much as it is a preference"
Green was the colour in 2018 so don't expect it to go anywhere in 2019, with Health and wellness in full swing, along with the demand for sustainable and ethically sourced materials, we will look to surround ourselves with the natural and organic in the coming year. 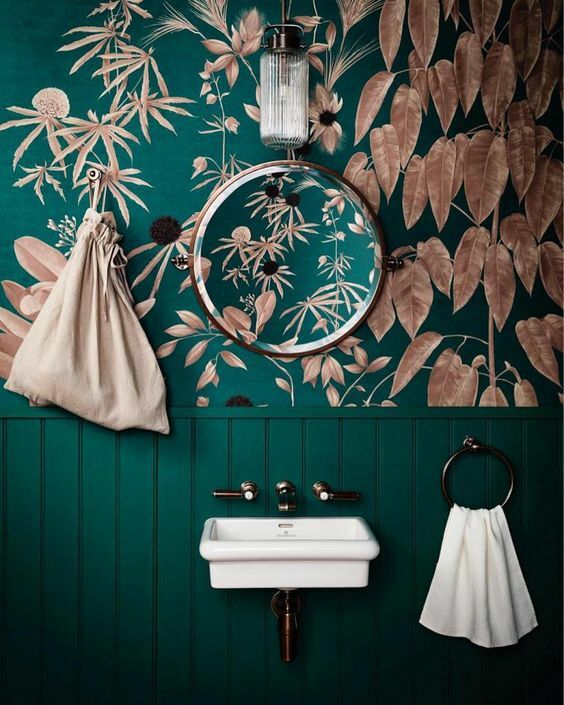 Plants are having a huge influence on design trends, and are the inspiration for the green scene palette. 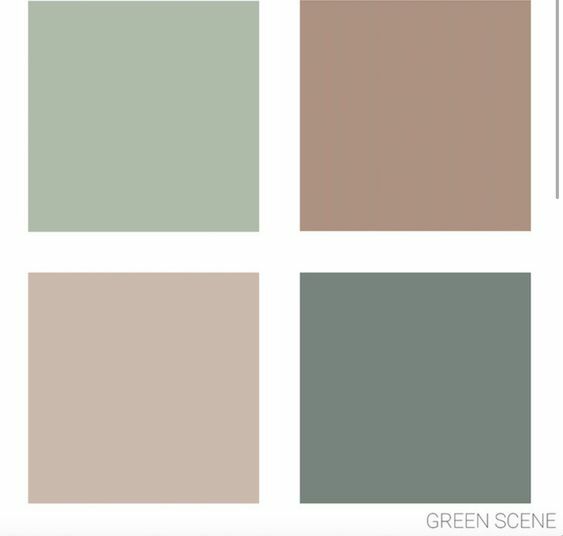 Due to it’s light tones, the Green scene palette is also fairly foolproof. 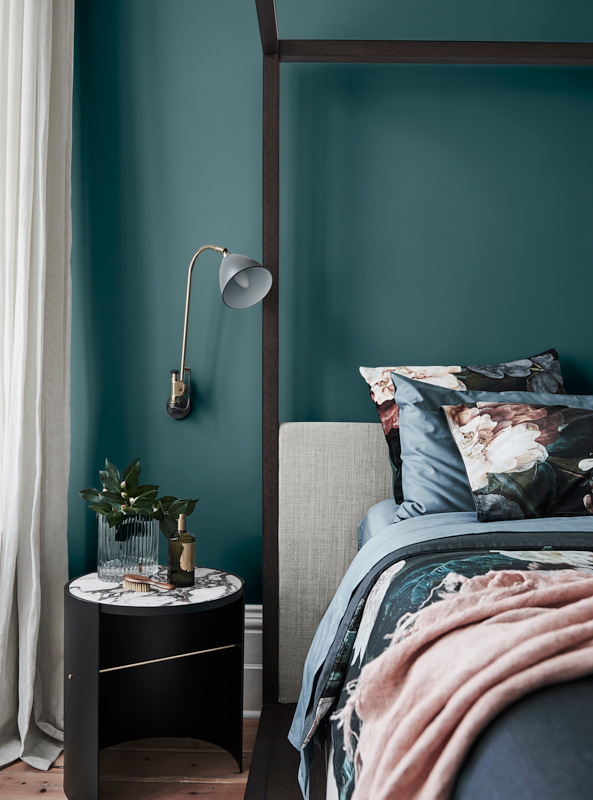 Sarah Stephenson, colour manager at Wattyl recommends painting broad walls in soft greens as they look great as a backdrop and then decorating rooms with an assortment of hanging and standing plants. 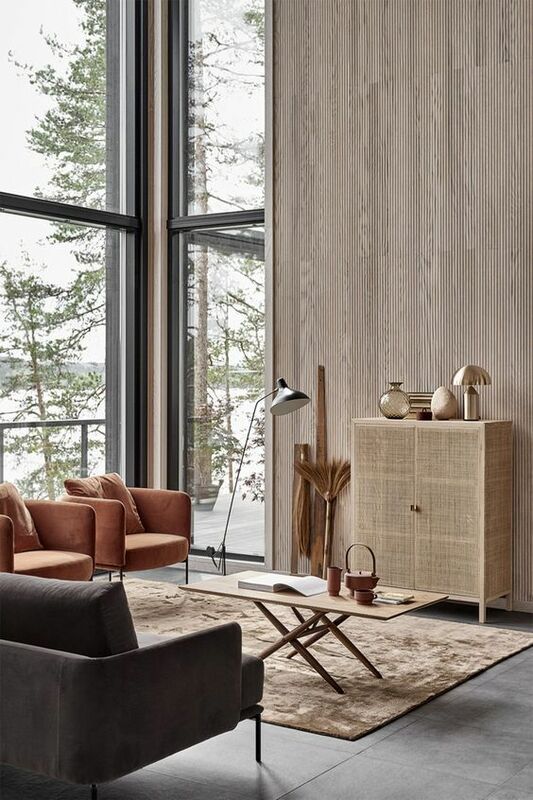 Japandi is a Mix between Japanese and Scandinavian, Japandi interiors are clean and minimalist with a twist of warm and cozy at the same time and absolutely beautiful. Japan adds Japanese spirit to a great style. The Characteristics of Japandi are Wood grain walls, black and white furniture, functionality, natural light, sustainability, ceramics and of course plants. Timbers are either pale or dark with blue-based undertones, which perfectly complement monochrome accessories. However, a few vibrant colours can be added through natural sources such as house plants. 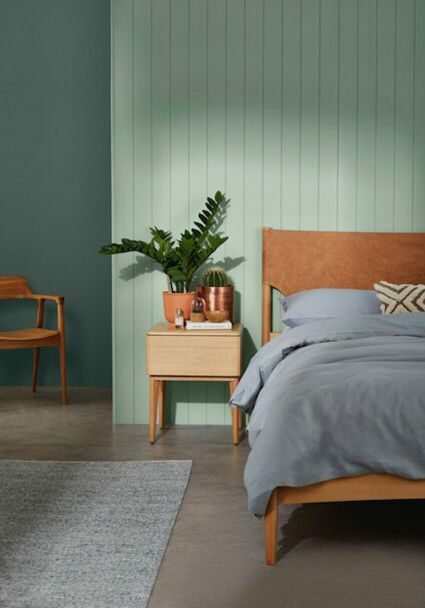 2019 will welcome colours inspired by nature to take centre stage. This will include soft neutrals such as white, cream, beige, earthy tones like deep ochre and forest green, natural timber and stone finishes. 2019 will encourage playing with textures and finishes to create contrast and catch the eye. Combining stone, cement and timber will be encouraged for a visually striking collection of materials and textures, a rendered look will help you achieve a stylish, modern exterior. 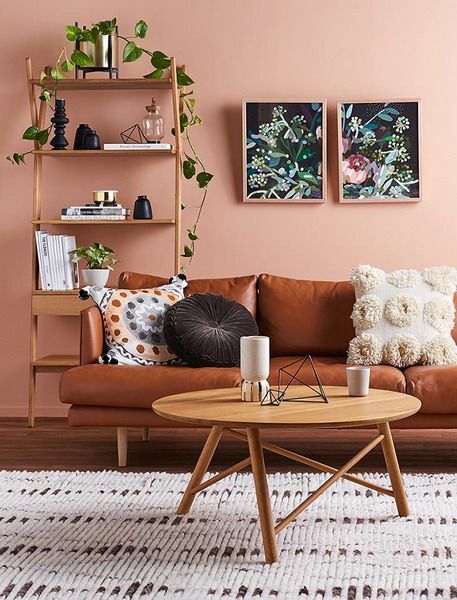 James Treble interior designer from channel Ten's living room says to "look out for terracotta reds this year" they are earthy undertone whiles giving a bit of personality to a neutral looking home. In some towns they offer rebates to land purchasers if they comply with the guidelines. Oran Park is a well known Town that does this. These rebates are set up for if you purchase your land direct from the developer, to claim up to $10,000 in rebates based on the design of your home and landscaping and if they comply with the guidelines. Having these guidelines gives individuality to the town and allows them to move away from the Edward Scissor Hands homes. This is making builders and designers think outside to box when creating an exterior finish and using a variety of materials together than the iconic simple bricked home from the 80's / 90's. 1: Create a Pinterest board and collect all you favourite tips tricks and design ideas. if you don'r have Pinterest GET IT, it is a free app that will change your life. 3: Pick out your art, it can be a vase, painting or even a photo but the colours in this item will help you pick the colours for the rest of the room. 4: Plan your make over day, you want to have all your supplies ready to go as this sometime can take a day to get everything. ⟵What is the difference between a DA and a CC? What does DA and CC stand for? Such a good blog! Can’t wait to read more! Thank you so much for your comment we always love to hear the positive responses!